Basic Life Support (BLS) demonstration and CPR concept by American Heart Associate and CPSP in FM&DC Auditorium on 24th April, 2018. 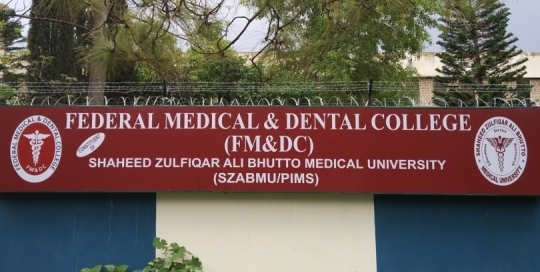 3 Lecture rooms in FM&DC Building, One lecture room in PIMS Hospital. All lecture rooms are IT enabled, air-conditioned, well furnished, and well maintained. Developed by: ITCenter, COMSATS University Islamabad (CUI).